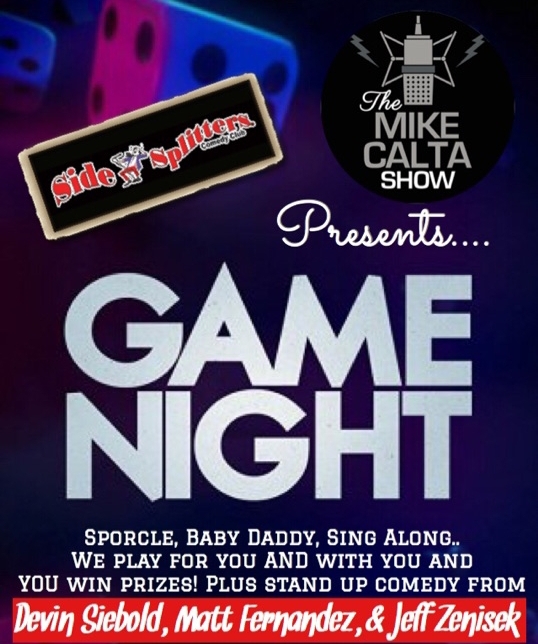 The Mike Calta Show Presents: Game Night at Side Splitters Comedy Club! Sporcle, Baby Daddy, Sing Along..
We play for you and with you and you win prizes! Plus stand-up comedy from Devin Siebold, Matt Fernandez, and Jeff Zenisek! VIP tickets include a meet & greet after the show!